"When I retired several years ago, one of my goals was to find an exercise program I would stick with. I cannot remember how many gyms or fitness programs I have joined in my lifetime only to drop out after a few months. But when I discovered Laura Cotler, I knew this was the program for me. I love the atmosphere Laura has created in her studio. It is light and airy and always clean, with windows that allow a view of the treetops. Laura is professional and warm, and she brings a great sense of humor to her classes. She always manages to ground me when I’m having an “off” day. Laura brings new ideas and techniques from her ongoing professional training to our classes, which keeps them interesting and challenging. I also enjoy the variety of equipment available. I began Pilates classes with the goal of maintaining my fitness level, but I quickly realized that with Laura’s encouragement, I could become much stronger, more flexible, and gain better balance. Laura encourages us to challenge ourselves to keep strong and healthy, and she gives us tips to use at home. I always leave my classes with a sense of accomplishment, feeling energized and stronger. 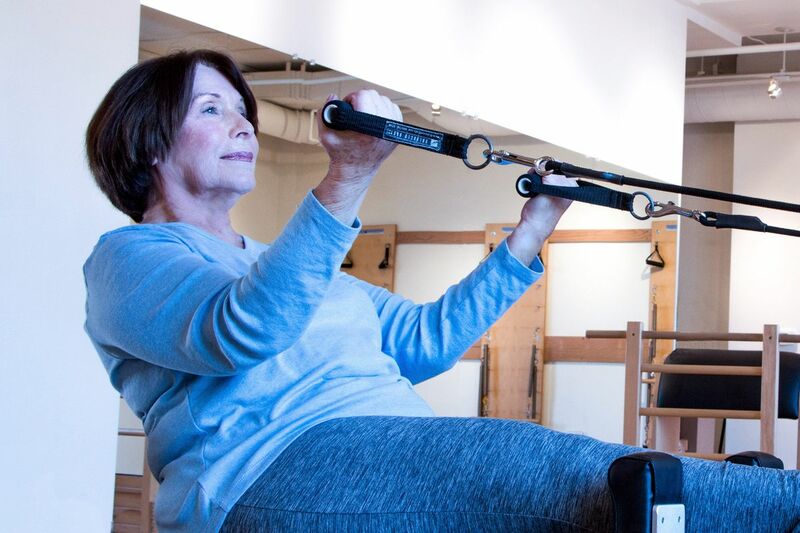 When I injured my shoulder, I wasn’t sure I could continue my Pilates classes. Laura worked with me to find modifications so that I could continue to participate in my classes while it healed. On a trip to Myanmar with my family, our guide led us on a ten mile walking tour. About halfway through, I began to think I wasn’t going to be able to make it to the end. Then I remembered the classes Laura taught on the proper way to walk. I concentrated on walking the way she had coached us, and I immediately felt my body respond with renewed energy and relaxed control. I am grateful for the many ways Laura and Pilates have improved my life."